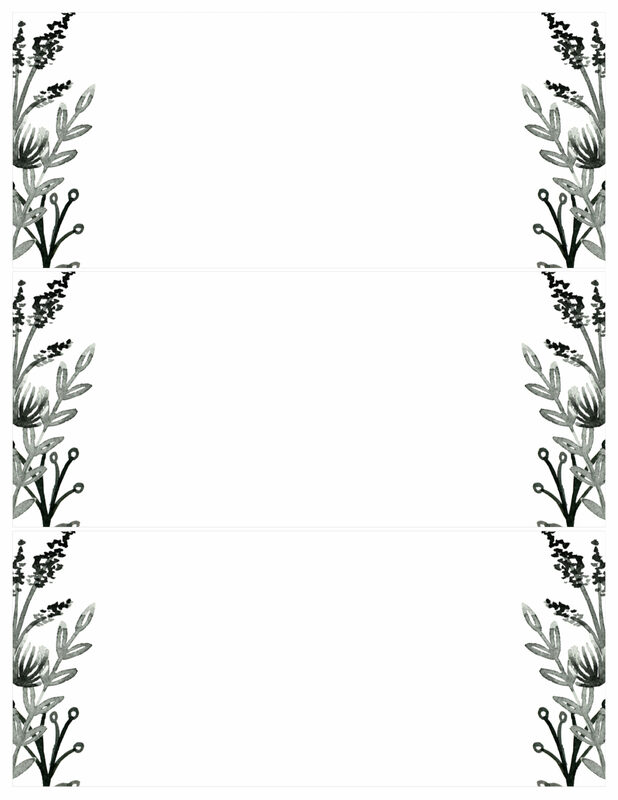 Here is a black white flowers invitations templates free printable to use for your next baby shower, wedding invitation, save the date, bridal shower invitation, birthday party, or retirement party. 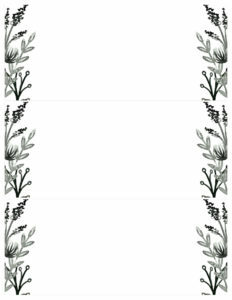 These black and white flowers invitations templates are free to download and use for personal use. 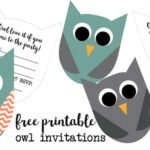 You can edit the free party invitation templates using PicMonkey for free as well. PicMonkey is a free website you can use to edit images. It’s easy to use and will save you a bundle. These black envelopes on amazon would look really elegant with the free party invitations templates printable. Thank You, Fox & Hazel for the free inky floral graphics that we used to make these invitations! 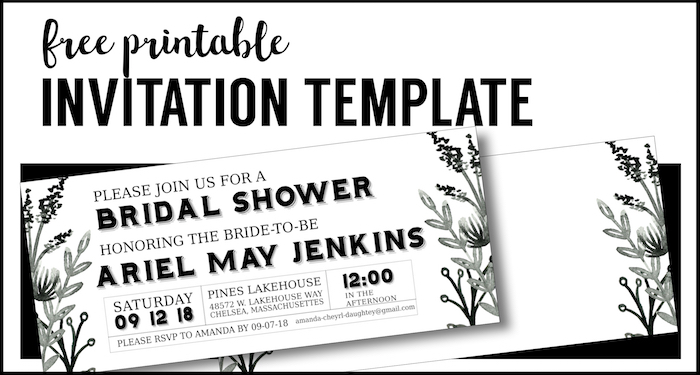 Don’t forget to check out PicMonkey a free website where you can easily customize these Black White Flowers Invitations Templates Free Printable. If you want a little more guidance then check out our tutorial on how to use picmonkey. 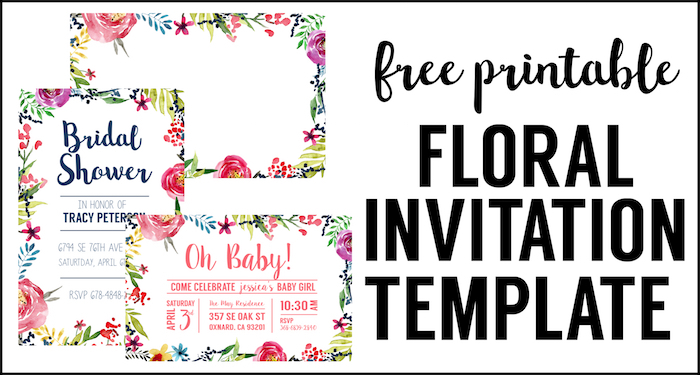 Here is a floral free printable invitation template. 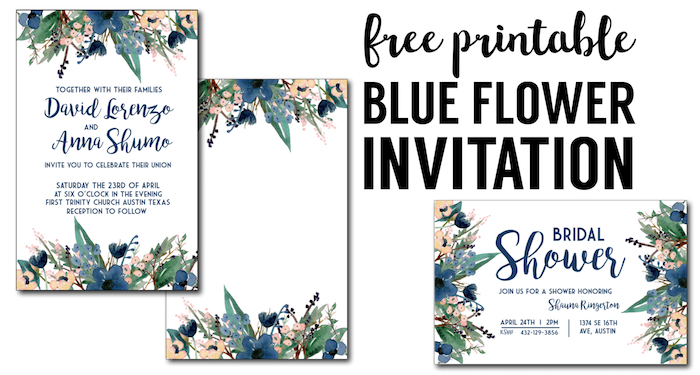 This one is a blue flowers invitation template. 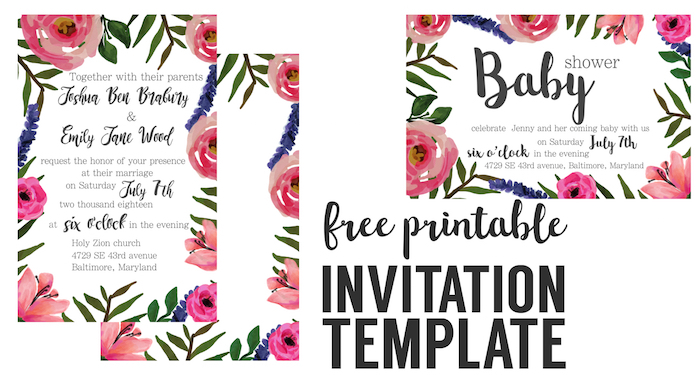 Another pink floral invitation template to print. 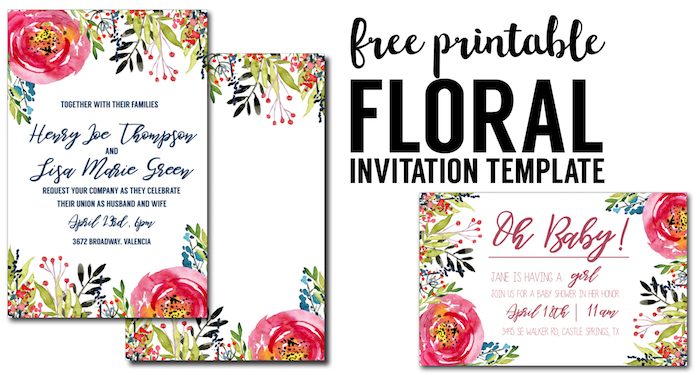 This floral borders invitation template is our most popular invitation template so far.